Work for Adobe Audience Manager? "Excellent insight into customer data and behaviours"
Adobe Audience Manager is especially adept at helping us determine where to focus our marketing efforts in order to best connect with customers. We are quickly able to integrate it into our digital platforms and optimize our approach by learning about our customers' behaviour quickly, allowing us to make rapid changes. Our biggest challenge so far has been teaching some of our longer-tenured employees how to use the software. Given its capabilities, it is rather advanced for those not used to dealing with platforms of this nature. Beyond those challenges, the platform is incredibly useful and can add significant value to a business. In our experience, I'd suggest considering both the technology you're currently leveraging to assess customer data and whether it meets your needs, and also the breadth of online presence. If your online presence isn't where you'd like it to be, AAM might serve to help you boost it, or at the very least, help you identify which areas are lacking (in short, where the gaps are). As a result, you can adjust your approach and optimize your customer interactions. Yet, if you have software already deployed for customer data, consider whether AAM will add value at the current time--set strategic objectives. One of our concerns with our web content was that we didn't have much data on our customers until after they had made contact with us, or made a purchase. We wanted to be able to understand our customers' buying patterns, interests, etc. and serve them content that catered to where they were in the buying process. AAM has allowed for us to collect and use this data, which has seen a close to 20% increase in revenue per customer, with increased visitors month to month. I like the granularity of data segmentation, which allows creating audiences for advertising to very specific target groups. It's not the easiest platform to learn, but it's very helpful once you get to know it. The integration with AdWords was a bit difficult, as we couldn't set it up right for quite a long time due to not clear instructions given by the support team. However, it worked out at the end. The instructions though work on the old AdWords interface, which makes it a mistery how to set it up in the new one. "Difficulties with data ingestion as well as UI loading"
"Robust Set of Tools For Advanced Users"
Adobe Audience Manager has a very robust set of tools that allow you to dig deep within the metrics of every digital facet of your business. It allows you to project and predict where things are going as well as give a holistic view of all of your marketing analytics. If you are responsible for the marketing at your company or organization, Audience Manager can provide invaluable insights for your key marketing segments. Due to its price, I don't feel that Adobe Audience Manager is geared towards SMEs, and is definitely not for novice users. If you have people at your organization who are not savvy / advanced the learning curve is quite high. Even for a medium to advanced user such as myself I found that it took some getting used to, especially if you are someone who likes a simple user interface. 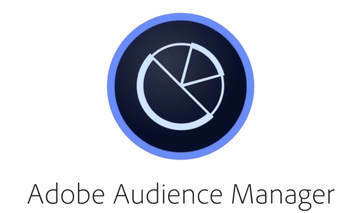 The audience segmentation features and abilities of Adobe Audience Manager are what makes this worthwhile tool despite the challenges around learning the intricacies of the program. "Highly Segmented Audiences at Your Disposal. " Our organization was looking for a reliable DMP and Adobe Audience Manager has definitely filled that need for us. AAM has allowed our organization to target more effectively and gather really specific insights on brand audience overlap. It's really allowed us to segment more effectively in our display advertising and helps with analytics as well. One of the biggest cons is the pricing. AAM is quite expensive, but you get a great return on investment. We've really been trying to get a product that allows us to target more effectively and get better audience insights across our brands. AAM has allowed us to achieve this. The customization and ability to use in advertising has been especially beneficial. "this product has a lot of features and is relatively quick, but has some major limitations"
The ability to customize reporting and review data in multiple formats. It's great that I can pull insights across a variety of metrics to further rationalize decisions. Reporting exports quickly and the raw data format allows either the user to pivot it or use a pre-pivoted template. AAM also allows the user to look at several different types of data including overlap, audience insights, performance, etc. Importing client data can easily be compared with 3rd party data for the purpose of analyzing or rebuilding so that the user can export to other platforms and media providers. There has also been recent improvements that visualizes the overlap data in a series of bubbles that generate a quick snapshot of what the data represents. Overall, the reporting is one of the largest advantages to AAM. There are several limitations with regards to splitting cookie pools and mobile usage. It would be great to have Adobe randomize cookie pools or data segments and split into equal groups. This would be a much cleaner, efficient way to test media platforms against each other. Currently, there is no workaround to solve for this either. Regarding mobile, one cannot measure uniques accurately and thus analyzing this channel is inefficient. Take the time to go through the training, it helps to unlock all of the features and gives users full benefit of the product. It's also best to have a question or problem in mind before exploring aimlessly, it'll often lead to various different insights otherwise. We've solved for a way to compare the reach of different media partners by pulling overlap reports against each other and against custom 1st party client data segments. This has saved investment and time by not duplicating efforts across media plan. There are many comprehensive analysis. Shows key audiences. You can see the details of the graphics themselves audiences. Easy to use. I don't think it has anything bad now. "Review of Adobe Audience Manager"
I like the comprehensive analytics that show me who my main audiences are. I am able to see graphics as well as detailed updates about my target audiences. It is limited in other data such as return viewers and other necessary attributes needed for full usefulness. Try the trial version before purchase to see if it is right for your needs. This will be cost effective in case you dont wish to use the product in the long term. I can see who I should target for my company advertising based on views and who I shouldn't waste my time advertising to. This is very cost effective for me and my company. Very easy to create data sources, upload/edit data and set pricing. BAAAM tool is very helpful for batch updates. Reporting seems limited in comparison to other providers and is really much more of a repository than an exchange as to sell data your sales force needs to push the data. Have a plan for use and know which clients source data from Adobe. Place to centralize data on-boarded from multiple partners. As all data is available it's easy to generate a full taxonomy of what's available. "Adobe Audience Manager I loved the new version"
the program I feel very good better way to save the recorded files and is very practical to handle, it also Adacta to any audio equipment to record. enhance colors format and expand the capacity enhancement sounds. el programa a crecido en la forma de mejorar las voces, eso ayuda mucho al momento de grabar. "Handy manager to combine audience sources"
I like the fact you can collect 1st, 2nd, 3rd party data which is useful if you have access to advertisers data. Having generated custom segments we have been able to re-evaluate and create new marketing segments. I think the ability to segment across multiple data sources was definitely a value add for us.I like the fact Adobe own DoNotTarget where users can opt out, this is understandably important for some clients due to privacy concerns. You have a great deal of flexibility when creating segments (based on variables and behaviors), more so than other tools. Dynamic Tag Manager made deployment easy. The dashboard is quite simplistic but it does what it essentially all you would expect. Integration took longer than expected even after following the user guide. I do not have any real dislikes. Audience Manager can certainly add value when combining multiple data sources on and offline. Bear in mind you will need to be a Target customer as well. We have been able to keep user profile data up to date and manage expiration of data from multiple sources (via TTL values). Segmenting across multiple data sources with a lot of flexibility has been very powerful. If you make use of 1st, 2nd and 3rd party data you will see the benefits in using Audience Manager. Essentially a main benefit is delivery ad content faster. "Pretty good data management platform"
"Audience Manager - A Rock Solid DMP Option"
Adobe Audience Manager is a best of class DMP that is a highly dependable, independent, solution for activating 1st, 2nd, and 3rd party data onsite and in paid media. Though Adobe is continuously improving the product, some areas that need improvement are reporting and the user interface. We've seen meaningful media inefficiencies and improved ROAS for clients that have harnessed a DMP such as Audience Manager. 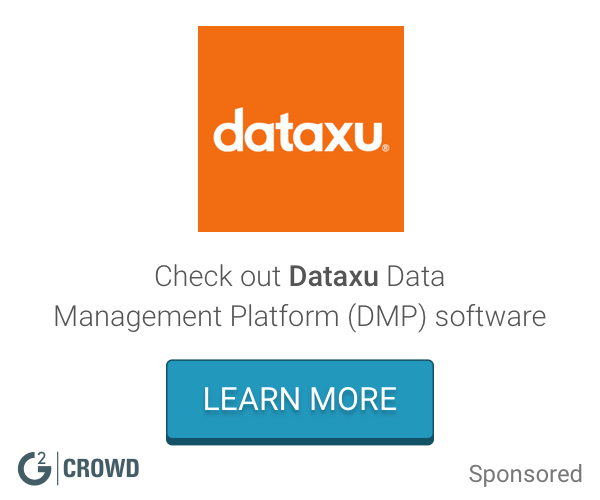 "Audience Manager delivers on audience segmentation and results. " The ease of integration especially if you are already a Site Catalyst client; takes advantage of all the structure that has been already put in place. The inability to build and target audiences on mobile at scale. The ability to target audience irrespective of what property they are on or what content they are consuming. "AAM is minimalist barebones product"
Extremely beneficial to publishers to manage audiences. It identifies, quantifies, and optimizes high-value target audiences, which we then can offer to advertisers. They are expensive for all of their products. "AAM is as good as expected, could always be better"
Integration with other adobe analytics products, capacity, reporting capabilities. Some UI aspects could be enhanced, as well as increased visibility to aspects of cross integration. Creating and leveraging useful audience segments. Ad sales self service is a big win for us. Need to add more Security features. easy to circulate , very much suitable for our cloud system & eco friendly. Learning about Adobe Audience Manager? * We monitor all Adobe Audience Manager reviews to prevent fraudulent reviews and keep review quality high. We do not post reviews by company employees or direct competitors. Validated reviews require the user to submit a screenshot of the product containing their user ID, in order to verify a user is an actual user of the product.